Long tubular (hollow) handle with narrowed end; irregular form. Reddish brown. Hard, dense, medium coarse fabric, consistently fired, with frequent, very small to small, white and black inclusions. Black on exterior from use? Seems to be Corinthian cooking fabric. Turning ridges on exterior. 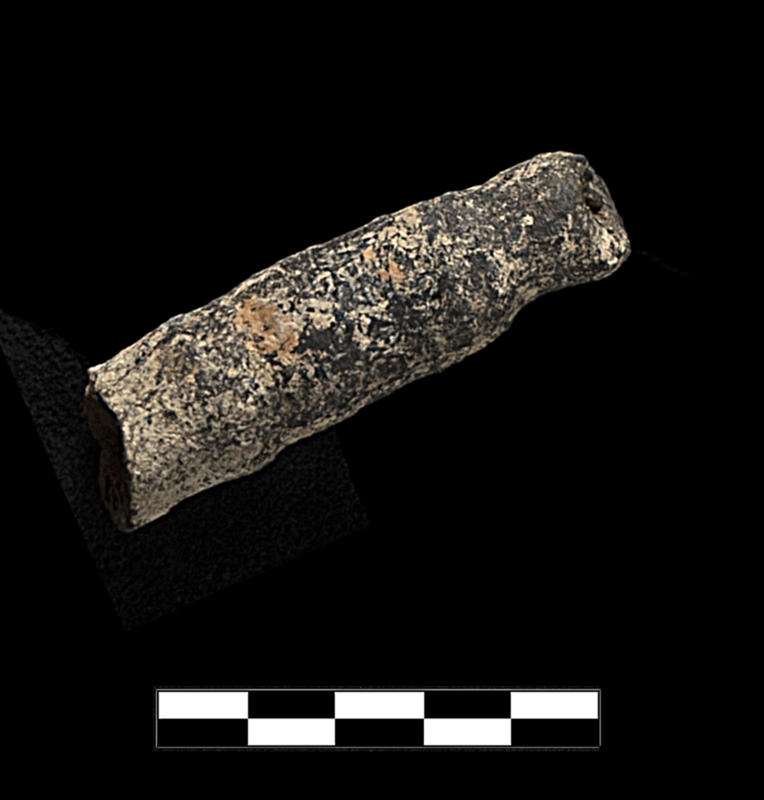 One fragment preserves end of handle. Slight, sparse pitting and chipping; slight, extensive patches of encrustation and orange discoloration.